All CPU's are fully tested inside the machines we pull them from. Serial # : NA. Trending at $40.98eBay determines this price through a machine learned model of the product's sale prices within the last 90 days. Sale is for processor only. Location: D5 - G. We are sorry for any inconvenience this may cause. No exceptions. MPN CM8062101122501. Processor Type Xeon. Q: What Are The Warranty Details?. Then, place a new order for the item of your choice. Other IT products. IT4U has thousands of Sun, HP, IBM, Dell, Cisco and many. If you don’t see exactly what you are looking for, or you are looking for a special deal?. If you order two or more products from us, they may. parts, accessories, etc. for this Manufacturer Part Number. has been received. Model X5450. Socket Type LGA771. Processor Type Xeon. Rack & Rail Kits. L3 Cache 12 MB. Tape and Storage. ServerPartsFast is an independent distributor of servers and components located in Atlanta, Georgia. OEM # CM8063501288843. STEP # SR19H. Lithography : 22 NM. Instruction Set Extensions : AVX. Instruction Set : 64-Bit. Quick path Interconnect(QPI) Speed : 8 GT/S. Max Turbo Frequency : 3.5 GHz. Working pulls from new systems. In perfect working condition. 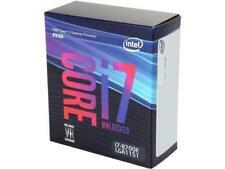 Great option for LGA 2011 x79 motherboards. Loc: Frey 51-G (SLBV5, TWO!). We are sorry for any inconvenience this may cause. No exceptions. Model X5650. L3 Cache 12MB. Server - Hard Drives. Server - Processors. Dell Server Parts. HP Server Parts. Processor Type Xeon. Rack & Rail Kits. Trending at $14.61eBay determines this price through a machine learned model of the product's sale prices within the last 90 days. 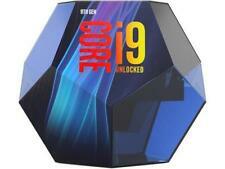 Series Core i5 Desktop Processor. CPU Socket Type LGA 1155. Processor Type Desktop. Core Model Type/ProcNo. Quad-core AM3 Phenom IIx4 B95 3.0GHz cpu pulled in perfect working condition. 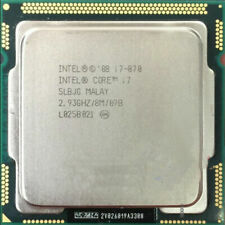 A LGA 1155/Socket H2 processor/CPU. Requires a motherboard that supports a LGA 1155/Socket H2. You will receive one similar to the one in the photos. No P.O. Box, Guam, Puerto Rico, AFO, APO. You are buying one CPU. Hours of Operation We will be happy to assist you. § Do not replace, modify, remove any parts or attempt repair on unit(s). 5.0 Ghz Max Turbo Frequency. Trending at $499.99eBay determines this price through a machine learned model of the product's sale prices within the last 90 days. Core stepping B1 (SLBV5). CPUIDs 206C2 (SLBV5). These x5680's are130W and will. Socket Socket 1366 / B / LGA1366. Type CPU / Microprocessor. CPU part numbers. The number of CPU cores 6. These processors are a matched pair and were removed from a working server blade. A central processing unit, or CPU for short, is essentially the brains of your computer. The processor in your laptop or desktop is responsible for performing various tasks that allow your device to run with speed and efficiency. While all CPUs perform the same basic functions, there are different types and features for CPUs to meet a variety of needs. 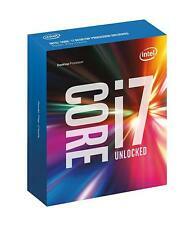 How does upgrading a CPU benefit a user? There are several reasons to improve your computer's performance with a more efficient processor, but the primary goal is for it to run faster. Computers are all about speed, and the faster your device can perform operations, the more you'll be able to accomplish in a shorter amount of time. You should also keep in mind that for the most part, all laptops and desktops are built with the CPU at the center of the plan. That means the peripherals and functionality are all based around how the processor can help them and how they can send data to it quickly. What are the different types of CPUs? Computer processors are categorized based on two standards: the number of CPU cores they have and their clock speeds. Using these two criteria, you can easily differentiate between the types of processors available to you. Single core CPUs were the first ones researchers created and for a long time were the only ones you could find. As the name implies, they performed a single operation at a time, and the various clock speeds were used to measure the performance from one to another. Dual core computer processors are still single units, but they contain two cores, so they function as though you had two CPUs in your device. These processors can handle multiple tasks with more efficiency than their single-core counterparts, making them faster at analyzing data streams. Quad-cores are excellent if you need to run multiple data-intensive programs at once or need a high-end gaming device. While you may not notice a clear increase in speed right away, they can and will run several big programs without lag. How should you choose a processor? While performance is a key concern here, you also need to make sure everything is compatible with your new part. For example, you can't mix and match certain hardware with dual-core processors that are a different brand than everything else. 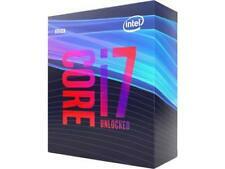 If you have an Intel motherboard, you should consider getting an Intel core like a Core i5 or a Core i7 model so that you know everything will run smoothly. 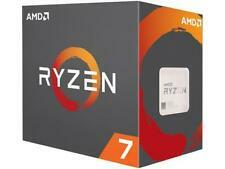 Likewise, if you know much of the inner workings are from AMD, you should choose something like an AMD Ryzen to match. While some parts are interchangeable, definitely pay attention to the brand of motherboard you have, whether it's Intel, Pentium, or AMD, and adjust accordingly. Lastly, check your motherboard and the number of sockets present as the sockets provide connections between it and the processing unit.